Nature-inspired, eco-friendly, fine decor products by former Crate&Barrel design executive. THE GOOD HOME COMPANY believes that every inch of a persons’ dwelling should be special, and we try to include every aspect of the home when designing our products. 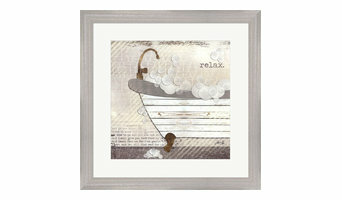 We have items for the bath, bedroom, kitchen and even your laundry room. Each product is first developed by hand and the recipes are then produced and bottled for you. We are free of sulfates, parabens, phthalates and use green seal approved preservatives. Our laundry products are HE and our cleaning products can be used on all high end appliances and counter tops – and are meant for every day use. They are tested on good people, not on good animals and have 20 years of trust in good homes all over the world. 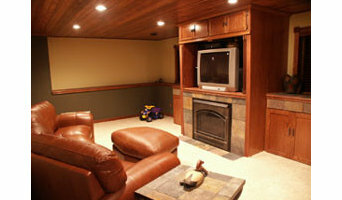 S & S Remodeling is a full service, owner operated company serving the New York / Westchester area with quality craftsmanship. Since 1983, we have been turning our new customers into repeat customers and new friends. Our Westchester Remodeling Contractor services offer superior customer service and a high level of professional care & responsibility in Bathroom Remodeling, Basement Remodeling, Kitchen Remodeling, Decks & Patios, Handyman Services, and Entranceways. Designerliners Inc. is the creator and owner of designerliners®, a line of decorative waste basket and trash bags. Designerliners come in polka dots, ginghams, leopards, toiles, and black tattersol. Designerliners Inc. also creates custom bags for universities, businesses, and homes. Its waste basket division sells designer waste baskets from around the world. 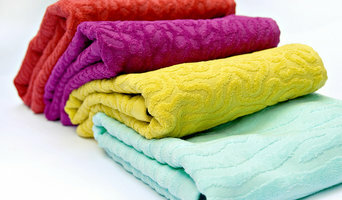 We are a import and wholesale company in the textile and home linen products. Just 4 Kidos is a shop that has been designed around the needs and interests of children and parents. We have a full inventory of beach towels, sling bags, beach bags and hats all embroidered with your personal name. Celebrate birthdays with our custom Character Gift Baskets and remember us for your personalized back to school pencil cases, lunch bags, satchels and personalized art aprons. We now have a large selection of baby security blankets that can be monogrammed with name and birth date making this one of the most memorable gifts you can give all under $20.00. Christmas is extra special with personalized pajamas and Character Christmas Stockings we've got that and so much more. The Silver Peacock offers the finest in the finishing touches for your home. Wherever that home maybe …… On land, sea, or in the air !! 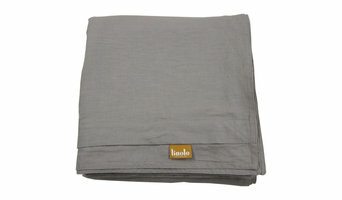 From tabletop, linens for bed , bath & table and accessories for every room . Its all here in our ” jewel box” of a showroom located in New York City’s D & D Building. Our curated collection is made up of small workshops and ateliers around the world who all still revere the importance of hand craftsmanship , and as well good design . Many of our vendors are exclusive to us and not shown elsewhere in the country . While all of our vendors introduce new collections throughout the year, they all are also capable of creating bespoke designs and items exclusive to your project. While perusing our showroom you’ll find, hand finished sterling from France’s oldest continuously operating silversmith, bed and table linens from an atelier outside of Lake Como who has all her metered goods woven exclusively for her by the same mills producing linens, and wool for some of Italy’s most exclusive fashion houses. . And hand made bath accessories which compliment the most luxurious fixtures … We offer 20 different finishes from matte nickle to 5 versions of gold, which are plated over bronze , and whose crystal is from the same region in France that produces some of the world finest crystal and stemware. We are able to offer the finishing touches to fit any aesthetic or environment …… We look forward to welcoming you in our showroom !!!!! For those of you not planning to visit the New York City area , we are able to service clients worldwide . Please email or call us to discuss your needs …… In home consultation around North America is also available. One of the most common problems in bathrooms is lack of storage space. Buying a bathroom vanity at your local building supply store may be the answer, but for more challenging storage solutions, you’ll want to contact a Shelton, CT bedding and bath manufacturer or retailer that specializes in custom storage options and unique bathroom furniture and accessories. From heated towel bars to shower curtains, use the Houzz Professionals listings to find Shelton, CT bedding and bath retailers with budget-friendly bathware and modern bath accessories. Some bathroom remodelers specialize in affordable equipment like grab bars, safety tubs and showers and other bathroom accessories designed for those with different physical needs. Does your bathroom need converting or upgrading for special needs? Is it time to wake up your master bedroom with some new bed linens? Since that very first white sale in Philadelphia’s John Wanamaker and Co. department store in 1878, January has always been a good month to buy bed linens. Those looking for hand-crafted custom bedding and draperies can find a Shelton, CT company that makes and sells quality bed products. Many bed and bath retail outlets sell a smaller selection of exclusive brands.